That fool of a fairy Lucinda did not intend to lay a curse on me. She meant to bestow a gift. When I cried inconsolably through my first hour of life, my tears were her inspiration. Shaking her head sympathetically at Mother, the fairy touched my nose. "My gift is obedience. Ella will always be obedient. Now stop crying child." At her birth, Ella of Frell receives a foolish fairy's gift--the "gift" of obedience. Ella must obey any order, whether it's to hop on one foot for a day and a half, or to chop off her own head! But strong-willed Ella does not accept her fate. 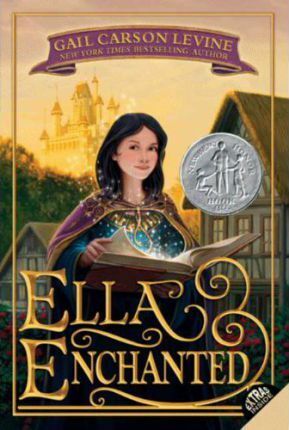 Against a bold backdrop of princes, ogres, giants, wicked stepsisters, and fairy godmothers, Ella goes on a quest to break the curse forever.